Average hotel. Mattress was not very comfortable. Breakfast buffet did not offer much variety. All my needs were taken care of quickly. The breakfast in the morning was excellent. The acomodation, local and cleaness were excelent. It was the first time we stayed at this hotel in Florianopolis. The weather was sunny. Need to be improve is the reception (check in and check out), be more kinldy and efficient. Easy check in & Friendly Staff. Breakfast traditional Brazilian hotel, nothing more or less than normally expected. Great for business trips, however, wall outlets should have different variations as electronics have different ports. It was a very comfortable experience. The only point that I make is that the price of the refrigerator and kitchen items was too damn high. I mean, VERY HIGH. 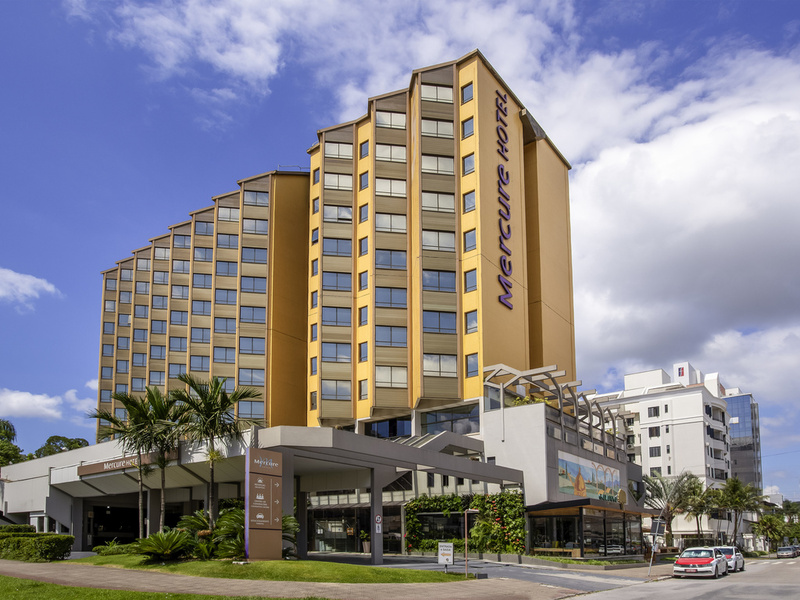 I´ve been recently hosted three times at the Mercure, and at all times I have not received the receipt. Every time I´ve to call and ask for the receipt. Due to this routine situation, I will no longer stay at Accor. The room had all services I needed, was very confortable and both check in and out were efficient. Had one problem with water leaking from the shower that soaked my towel. That’s why my rating isn’t higher. Just one very small and old towel to shower. Air conditioning not perfect working. Comfortable place, lovely staff, the pool seemed a bit lacking maintenance, and our room was not tended everyday despite the sign being on the door. Food was good, room service was good. Meets the objective with some minor details to improve. It was great! But the pool and the bedroom deserve a better cleaning. My staying was better than expected. I highly recommend it. Good but need more carefull from employers side for eextra charges. Mostly good, but my son was charged for example for parking wich was said on booking.com it was free as well as breakfeast, but we payd anyway because the trouble to opening the email and printing the reservation details would have been troublessome. I am very pleased with the service, all the staff I came in contact with were very polite and helpful, and the facilities were in very good condition.